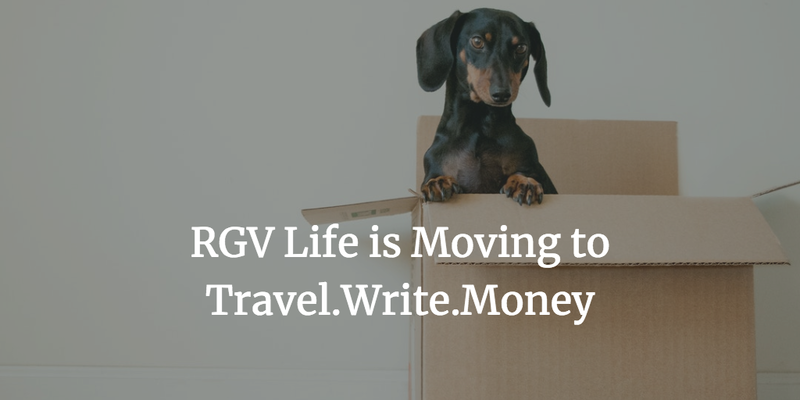 When I first started RGV Life, it was tilted towards a little bit of tourism, a little bit of local news, some politics, and a lot of online exploration. It was hard work. But, it was also fun. It allowed for the exploration of new media, which included online video, podcasts, and even live streaming. Being naturally shy, RGV-Life.com opened up a lot of doors for me. It gave me a topic of conversation with others. When I would visit people, they already knew about RGV Life and welcomed me as if I were an old friend. Unfortunately, when I started the blog, I did not expect that it would become what it did. I would have put more thought into the name. 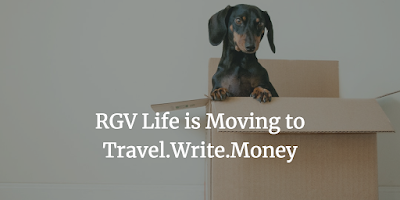 It turned out that there was already an RGVLife.com without the hyphen. While our paths did not cross where people would confuse the two websites, we have different circles, it makes it difficult to say that I have things locked down in terms of name recognition. They were first. Recently, I saw that there is an RGV Life printed publication, which further muddies the waters. I can't complain because I should have been more mindful when choosing the name of the blog. This would have also prevented me from doing the Twitter account, Facebook page, and other online accounts using RGV Life. More than anything, my interests have shifted towards personal finance, travel, and writing. Thus, Travel.Write.Money was born. Because the new blog does cover travel, I will begin writing about local tourism and the occasional travel outside the region. The geographic focus on RGV Life has always been a constraint on expanding my sights outside of the Rio Grande Valley. I am not sure what to do with this blog. If I let go of the domain name, then this will revert back to a Blogspot address (http://rgvlife.blogspot.com). Or, I could forward the domain over to the new site. I might even consider selling off access to @rgvlife on Twitter, Facebook, and Youtube if the right offer came around. For now, I would like to direct your attention to the new blog.